Ortho Illinois offers several diagnostic modalities to aide in the treatment of our patients. Digital x-ray, CT Scan, full-body Magnetic Resonance Imaging (MRI), and Bone Density Scanning (DEXA) services are provided on-site and our digital technology makes the images available immediately for your physician’s review. MRI may be recommended to assist in diagnosis and treatment. The Bone Density Department offers a complete diagnosis and evaluation of osteoporosis. Ortho Illinois MRI offers both patients and patients of referring physicians high quality options for comprehensive evaluation of musculoskeletal conditions at a competitive price. As an ACR accredited facility, Ortho Illinois offers exceptional quality imaging, with or without contrast, provided by friendly, highly-trained staff. By utilizing state-of-the-art high field technology equipment in a safe, relaxed, and professional environment, patients enjoy faster scans and more comfort. Ortho Illinois offers prompt access, with scheduling usually available within 24-48 business hours. We offer Highfield MRI technology from three convenient locations. Ortho Illinois’ competitive fee schedule represents a significant savings compared to hospital imaging services, with substantial discounts available for self-pay and prompt-pay patients, and contracted rates with insurance plans. We accept most insurance plans. View a current list of participating insurance providers. MRI services are available to the public. Patients outside of Ortho Illinois can request their physician fax an MRI order to 815-381-7498 to initiate the scheduling process. MRI is a safe, radiation-free procedure utilizing a powerful magnetic field to provide your physician with highly detailed images of bone, ligament, and other soft tissues to better detect abnormalities or injuries. Having an MRI is easy, completely non-invasive and only requires that you remain motionless during the scan, which can take between 30 and 60 minutes, depending on the type of scan you will be receiving. You should arrive about 15 minutes before your appointment wearing comfortable clothing, preferably without metal snaps, zippers, buttons, or ornamentations. No special medications, fasting, or dietary requirements are necessary prior to the procedure. Patients who are pregnant, have a pacemaker, surgical staples, or metal implants should consult their physician before scheduling any MRI imaging. Fast, painless, non-invasive and accurate, a computerized tomography scan, or CT, merges a series of X-ray images taken from different angles and uses computer processing to create cross-sectional images, or slices, of the bones, blood vessels and soft tissues inside your body to produce 3-D images. CT scan images provide more detailed information than plain X-rays do. MRI is short for Magnetic Resonance Imaging. MRI is an advanced technology that lets your doctor see internal organs, blood vessels, muscles, joints, tumors, areas of infection, and more – without X-rays, surgery, or pain. MRI is very safe; in fact it makes use of natural forces and has no known harmful effects. It is important to know that MRI will not expose you to any radiation. The MRI machine creates a magnetic field, sends radio waves through your body, and then measures the response with a computer. This creates an image or picture of the inside of your body that is much clearer than can be obtained with most other methods. MRIs can provide very early detection of many conditions, so treatment can be more effective. The excellent quality of MRI images can also provide the best possible information if surgery is required. 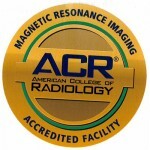 Ortho Illinois’ magnetic resonance imaging equipment has been accredited by the American College of Radiology Committee on MRI Accreditation of the Commission on Quality and Safety. The Dual Energy X-Ray Absorptometry, or DEXA, is an important tool in the diagnosis of and monitoring treatment of Osteoporosis. The DEXA scanner at OrthoIllinois is simple, safe, noninvasive and painless way to measure bone density, and there is no need for the patient to undress. Patients are asked to wear comfortable clothing, preferably something without metal buttons, buckles or zippers. The DEXA machine is also used to provide accurate, reliable, and affordable high-tech body composition analysis. A DEXA osteoporosis measurement takes from 10 – 20 minutes and a body composition scan just 3-4 minutes, with the patient lying still on a padded table. There is very little exposure to radiation – in fact, much less than a standard chest X-ray.